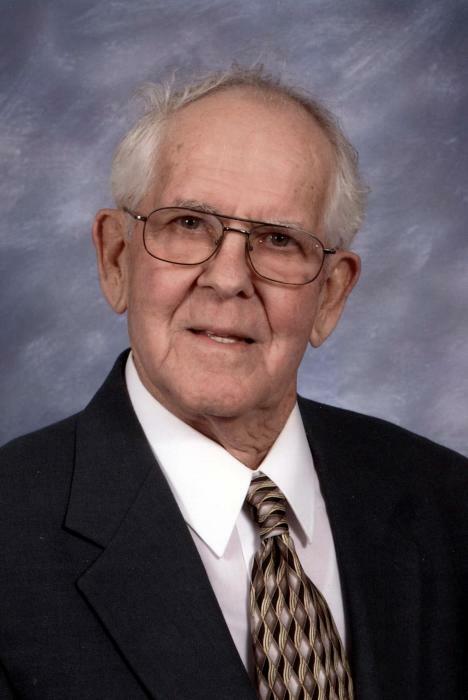 Elmer F. Dickman, 89, of Delphos, passed away on Sunday, September 16, 2018, at The Meadows of Delphos. He was born February 23, 1929, in Ottoville to Anthony and Magdalena (Miller) Dickman. They both preceded him in death. He was united in marriage to Mary B. Warnecke on January 3, 1950; she preceded him in death on March 28, 1986. He is survived a daughter, Debra A. (Hank) Quatman of Lima; by a son, David E.(Robin) Dickman of Tiffin, OH; two brothers, Virgil Dickman of Middle Point and Robert (Myrna) Dickman of Crystal Falls, MI; three grandchildren, Matthew (Julie) Quatman, Henry Quatman, and Jacob Dickman; three great-grandchildren, Madeline, Matthew, and Michael Quatman. He was preceded in death by three brothers, Arthur, Paul, and Roger Dickman; two sisters, Patricia Horstman and Viola Lambert; sisters-in-laws, Susie Dickman and Barb Dickman; brother-in-law, Ralph Horstman. He was a member of St. John the Evangelist Catholic Church, the Ottawa, Ottoville, and Delphos VFW, K of C #1362, and the Eagles #471. He worked at Central Soya as a steam engineer and he was a U.S Army Veteran serving in Korea. Elmer also enjoyed farming and liked working with his hands. Mass of Christian burial will be on Wednesday, September 19, 2018, at 10:30 a.m. at St. John the Evangelist Catholic Church. Burial will follow in St. John’s Cemetery with Military Grave Rites by the Delphos Veterans Council. Friends may call on Tuesday, September 18, 2018, from 6-8 p.m. at Harter and Schier Funeral Home where a parish wake will begin at 8:00 p.m. Memorial contributions may be made to St. John’s Parish Foundation.